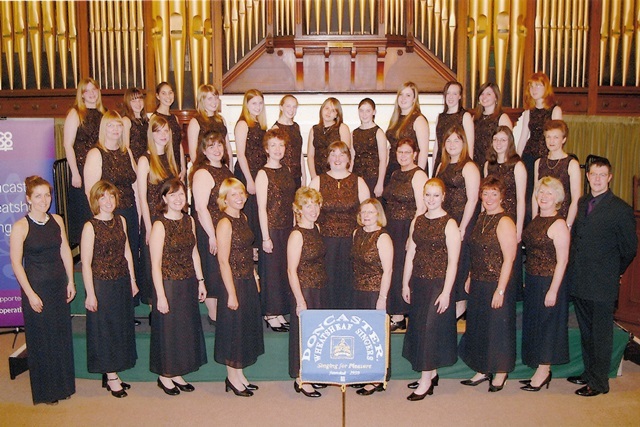 The Doncaster Wheatsheaf Singers was originally formed in 1950 under the auspices of the Doncaster Co-operative Society at the suggestion of Mr. John Barker – its founder and musical director for 32 years. 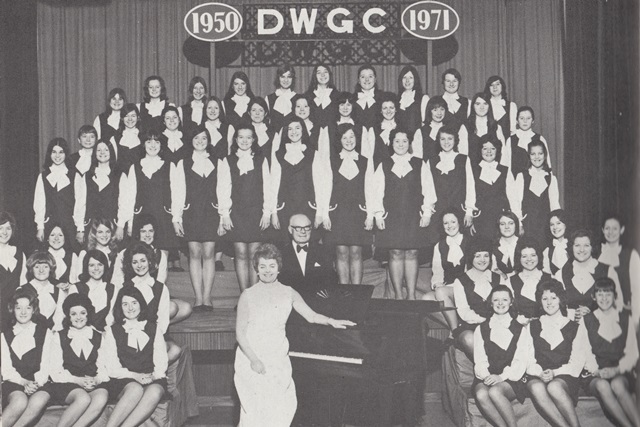 The group was initially made up of young female singers and went under the title The Doncaster Wheatsheaf Girls Choir. 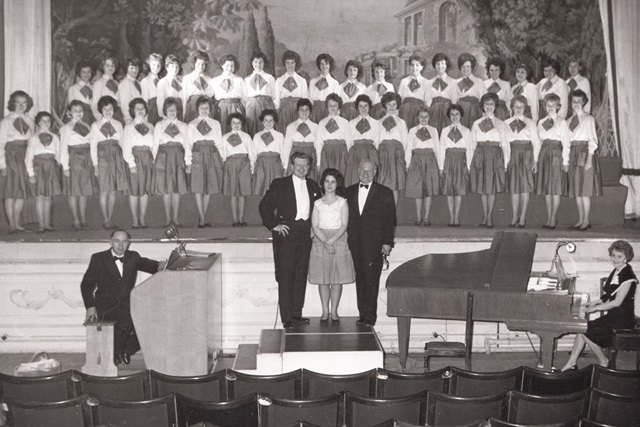 The choir initially started in the last year of the Second World War when John Barker brought together a group of girls to perform operettas, including one that he had co-written himself. As these productions carried on the group advanced from unison singing to singing in harmony and the girls realised they enjoyed the singing just as much as the dressing up and acting. As a result they asked Mr Barker whether they could meet and sing all year round. Despite having no experience of choral work Mr Barker suggested that a choir was created. As a result in 1950 the Wheatsheaf Girls’ Choir was formed. The age limit was raised to 16 years and Madge Barker, wife of the conductor, joined the choir as pianist. They decided very quickly that the precision and co-ordination of performances was infinitely better when the music was sung from memory, and as a result the policy of not using sheet music came into effect and still applies today (although new members are allowed a bit of leeway). 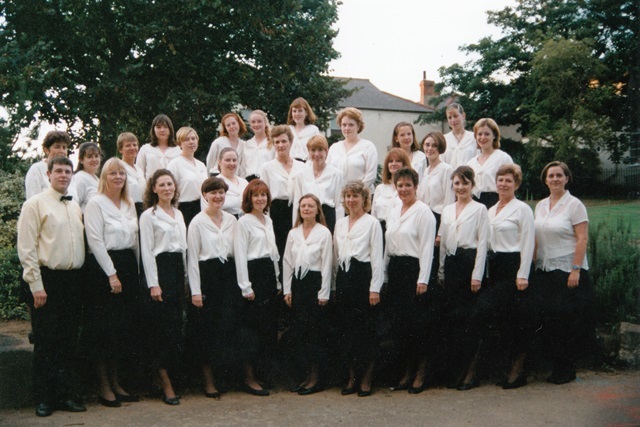 Early in 1993 the decision was made to rename the group The Doncaster Wheatsheaf Singers in order to recognise the increasing age range of its loyal members – many of whom had joined as young girls and remain with them today. However, the group still actively encourages young members to join them and ran a seperate junior choir until 2007. From the beginning the choir became an auxiliary group of the Co-operative Society, obtaining some funding toward the running of the group. This continues today and we were proud to have been selected as recipients of funding in the new Co-op Local Community Fund in Doncaster in 2017. We have also retained a strong link with the Co-operative Group by organising and performing in their annual Co-op Charity Christmas Concert which raises thousands of pounds for local charities each year.